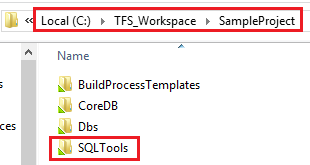 1) Create a folder into the source control Starting from my demo project $SampleProject, let’s create a folder called SQLTools. Once we execute the checkin operation the new folder will be available for any team member. Each get latest version will get the new folder into the local workspace from the source control. 2) Copy of the tool files into the source control Now we can add the files we need into the source control (projects, filters and so on): After a checkin, also those files will be syncronized to the team members. 3) Powershell script for configuration folders (you can download here the ps1 file) We’ve got all the things we need to move on. Keep in mind that all the third party tools are working with the default folders now. We need to change those configurations in order to work with the shared version of the projects and filters (and also snippets). The following powershell script does that job (it works only with Red-gate tools). 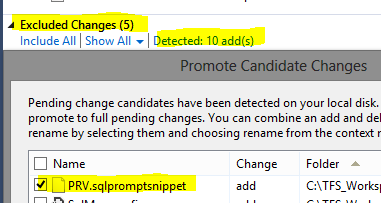 $NewSnippetFolder = $WorkspacePath + "\Snippets"
Write-Host "Destination Snippet folder does not exist (" $SnippetFolderName ")" -ForegroundColor "red"
Write-Host "Please enter the name of the SQL Prompt folder located into ProgramFiles/RedGate path" -ForegroundColor "darkcyan"
Write-Host "Snippet folder does not exist, you may not have SQL Prompt installed or you specified a wrong SQL Prompt folder name.." -ForegroundColor "red"
$LocalAppDataSnippets = $LocalAppDataSnippetFolder + "\Snippets\*.sqlpromptsnippet"
Write-Host "Registry path missing, you may not have Red-gate products installed or you specified a wrong folder name.." -ForegroundColor "red"
Write-Host "Moving to " $SQLpromptRegistryFolder ".." -ForegroundColor "gray"
Write-Host "Please enter the name of the SQL Compare folder located into ProgramFiles/RedGate path" -ForegroundColor "darkcyan"
$SQLCompareRegistryFolder = "HKCU:\Software\Red Gate\" + $SQLCompareFolder + "\UI\"
Write-Host "Moving to " $SQLCompareRegistryFolder ".." -ForegroundColor "gray"
Write-Host "Please enter the name of the SQL Data Compare folder located into ProgramFiles/RedGate path" -ForegroundColor "darkcyan"
$SQLDataCompareRegistryFolder = "HKCU:\Software\Red Gate\" + $SQLDataCompareFolder + "\UI\"
Write-Host "Moving to " $SQLDataCompareRegistryFolder ".." -ForegroundColor "gray"
Write-Host "Process completed successfully." -ForegroundColor "yellow"
Write-Host "Restart SQL Server Management Studio and Red-Gate product to apply the changes.." -ForegroundColor "yellow"
Pressing the “Locate on Disk” button will open the folder where you read the snippet from. We will expect the /Snippet folder as a source. 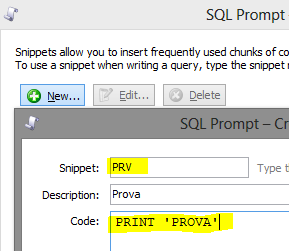 This operation will create a file with the name PRV.sqlpromptsnippet. After the promotion the file can be checked in and it’s available into the source control. Conclusions Sharing settings to the team is a good practice to follow. With a simple get and a simple script all the team members can be synchronized in a click or two. This is very useful when both new memebers starts to work with us (they get, let’s say, the “welcome kit”) and everyone in the team changes data. Compare products are very important during the deploy process. 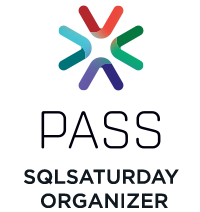 With the above sample, each project file is reflected to all the developers, and everyone can get always the latest version from source control. 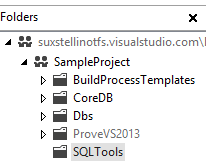 In addition everyone can get the useful snippets when writing t-sql. If you follow these kinds of procedures, you will take a great productivity enhancement. This entry was posted in ALM, powershell, Programming, Red-Gate, SQL Server, SQL Server 2012, Team Foundation Server, Team Foundation Service, Third party, Visual Studio and tagged ALM, powershell, red-gate, SQLServer, team, team foundation service, TFS. Bookmark the permalink.